Market to travel agents, tour operators, and other travel companies with this consolidated and accurate contact directory. Our pre-built travel agencies list is ready for you to download now. Connect with those in the world of travel and tourism! Take your business-to-business (B2B) campaign on tour. Without having to go anywhere, you can market directly to those in your target audience easily with just a few clicks! You don't have to hunt for leads. 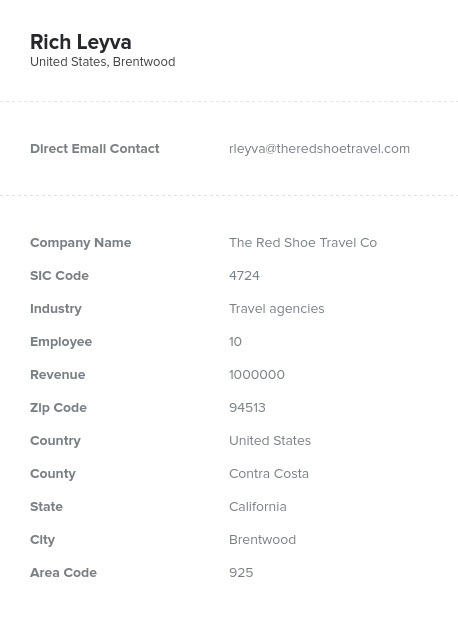 Go to one source for finding accurate, human-verified contact information and marketing to tour operators and travel companies: a pre-built Bookyourdata.com list! Travel agencies all over can be contacted right after downloading one centralized and consolidated list of travel email addresses. Find the people you need to market to, including those working in the travel and tourism industries, such as tour guides and travel agents. Email list options from Bookyourdata.com can help you promote your business or organization, whether you want to show off an attraction, offer deals on transportation, flaunt your charter service, or encourage agencies to learn more about your city. By pulling the important information of travel contacts into one place, Bookyourdata.com offers businesses new ways to make meaningful connections with travel agents. A travel agent email list can help to make sure your next business campaign takes flight. Conquer new territory with this accurate contact data, and email leads who are most important to your business. Market to the agents and tour guides who help customers travel around the world, and tell them about your location, product, or service. Buy this travel agent mailing list, or check out our list-builder tool to find even more sales leads today!